Hi! 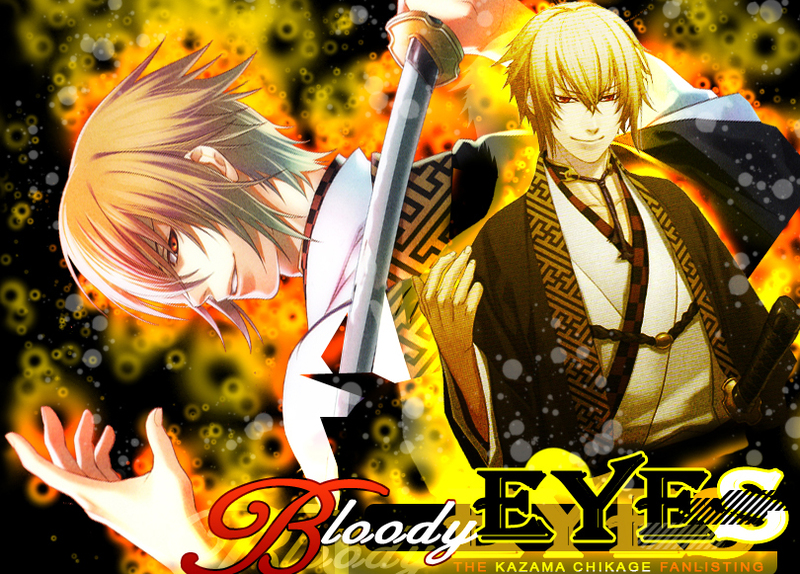 Welcome to "Bloody Eyes", the TLF and TAFL approved fanlisting dedicated to Kazama Chikage , an amazing character from the game (and soon and anime) Hakuouki Shinsengumi Kitan, created by Idea Factory! Kazama is my favourite character, he's a difficult person to understand and I adore his charisma and his intense story. Even if he's evil, inside of him he has deep and pure feelings, not just lust of blood. Please, choose a link from the right to fully access the site, and if you're a fan of Kazama, feel free to join his fandom! Kazama Chikage and Hakuouki Shinsengumi Kitan are the property of Idea Factory, all rights reserved. Layout and contents are © Dorothy.